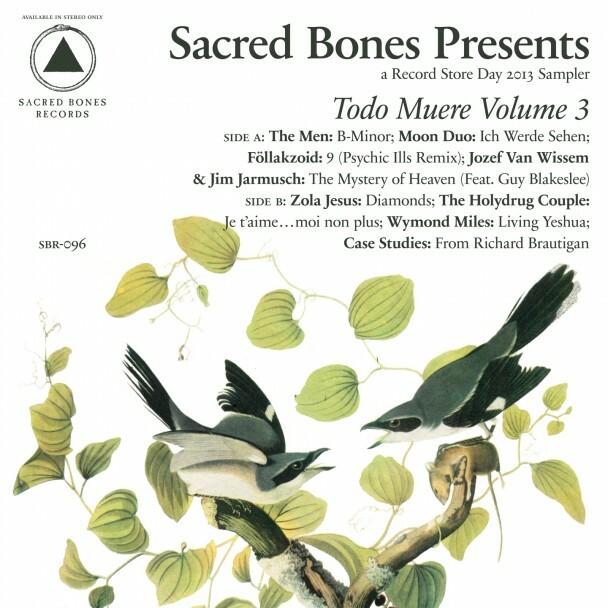 I proud present the third installment of Todo Muere series , from the cult-ish Sacred Bones label., exclusive to this RSD. Third installment of the Todo Muere series.“B-Minor” from The Men was recorded during their upstate New Moon sessions. “Ich Werde Sehen” is a German version of Moon Duo’s excellent I Can See. Psychic Ills remix a Föllakzoid song entitled “9”. Jozef Van Wissem and Jim Jarmusch give us a new version of their title track with vocals from Guy Blakeslee of Entrance Band. Side B features a previously internet-only Zola Jesus cover of Rhianna’s “Diamonds”. The Holydrug Couple cover the classic Serge Gainsbourg song “Je’taime…Moi Non Plus”. Also has a previously unreleased Wymond Miles track and a new demo from Case Studies. 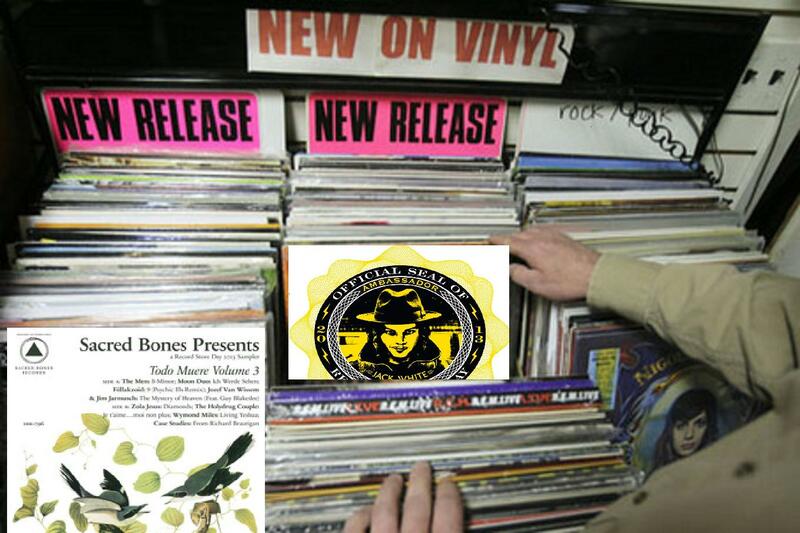 ← HAPPY RECORD STORE DAY!